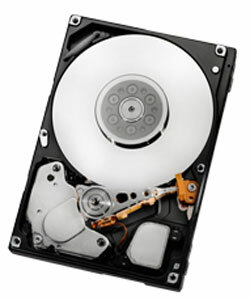 I like computers and for me and many other enthusiasts what we really want is a hard drive that has lots of storage space, fast data access times, and quiet operation. I don’t particularly care how much power the drive consumes so long as it meets my other wants. In the enterprise computing environment, all of those things are important but at the top of the list is low power consumption. Shaving what seems like a tiny amount of power consumption from the massive amount of hard drives inside the typical data center can mean tens or hundreds of thousands of dollars in power savings. Hitachi has unveiled a new enterprise 2.5-inch hard drive that is fast and sips power like a social drinker at a frat party. By Shane McGlaun on 07/30/08 • Leave a comment! I am a DVR nut and record everything — even if I plan to watch it right then. I like to let the show get about 15 minutes ahead of live TV so I can skip all of the commercials. I also have kids so we tend to collect gobs of Dora episodes as well. When we start running out of space on the DVR, everyone gets nervous that their programs will be deleted. 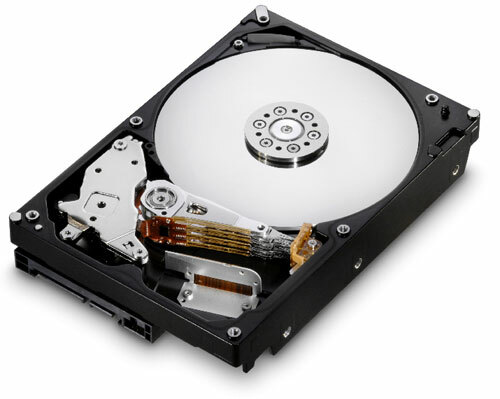 Hitachi has announced some new hard drives that are aimed at the DVR user in its CinemaStar line. The more interesting of the two new drives is the CinemaStar 7K1000.B. This drive has a massive 1TB storage capacity and can hold 247 hours of MPEG-4 encoded HD video and support ten simultaneous data streams. My pathetic DVR drive can only hold 30 hours of HD programs.